Notes: Possibly born in Ontario Canada where other siblings were born but also listed in 1880 US Census (Big Rapids MI) as being born in Michigan (3 years old). Named Cayton T. Eaid in 1880 US Census. 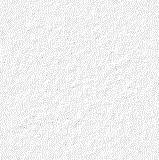 Moved with family to Chicago IL by 1900 (listed in 1900, 1920, & 1930 census). Married with two children in 1916 & 1917. 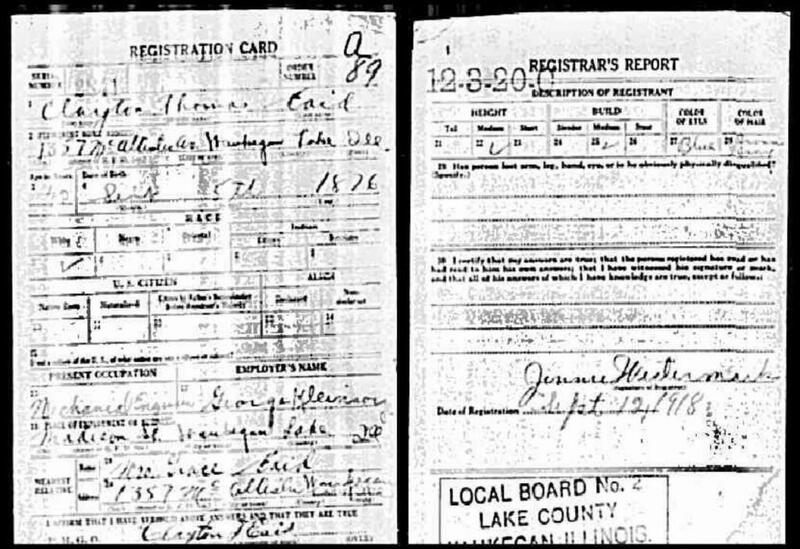 Registered for WWI draft on 12 Sep 1918 (42 years old) at Lake Co IL draft board. 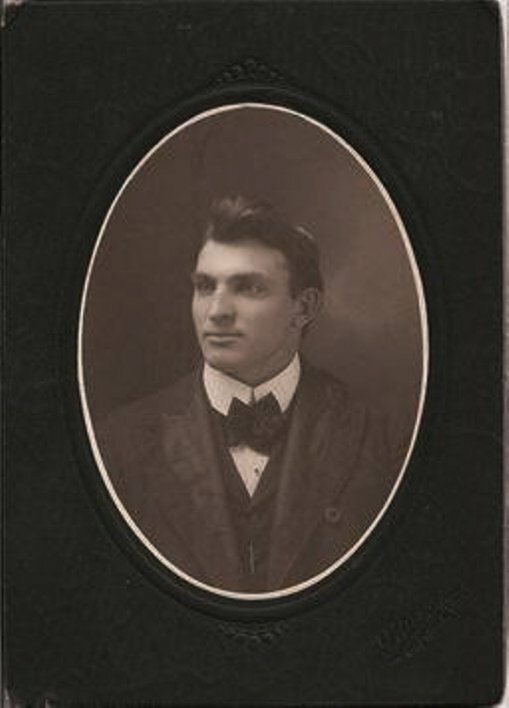 Was working as a mechanical engineer with George Kleinson in Muskegon IL when he registered for WWI draft. Moved family from Chicago IL around 1920 with relatives and died that year. In Feb 1916 he & business partner Joseph McConnell sued the Twohy Brothers (Northwestern Equipment Company) for a patent involving "a chock attachment for log cars" but it was denied May 1916. McConnell was issued a patent for a chock in 1908 for a similar device "relates to logging cars and the like, and more particularly to chock attachments designed to be secured upon a car for the purpose of holding logs or timbers against displacement upon the car." At 28 years old, he was listed in a marriage application in Mason Co IL on 15Sep1904 with Bessie Getty, both from Shelton Co IL.